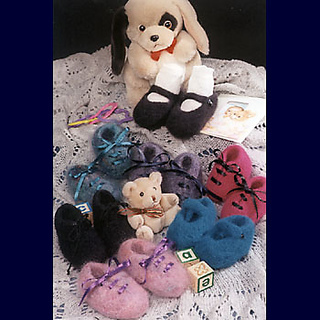 Pattern includes instructions for both “lace-up” and mary jane style baby shoes. Size: Small, Medium, and Large, to fix approximately 03 (3-6, 6-9) months. 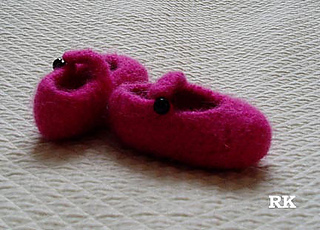 Yarn Requirements: Approximately 60 (70, 85) yard of worsted weight wool that felts well.